I may not have mentioned it before but I love pancakes! I used to have a pancake every morning for breakfast before school. My Nain would cook them for me for breakfast every morning! And last weekend I finally got to visit and try Scoops – the ice cream/Dutch pancake parlour in town. It’s a really small place and you wouldn’t be able to fit a pram in there. I would advise anyone to book a table in advance to avoid the disappointment of not being able to visit. We were very lucky to get a table for four of us – hubby, his friend, Little Miss and I. Like I said the place is small and we wouldn’t have been able to fit our pram in there – luckily we didn’t have it with us! But it’s a really nice place with lots if little homely touches like rugs and photos. There’s also a chalkboard that kids can play with and lots if books for them to read. 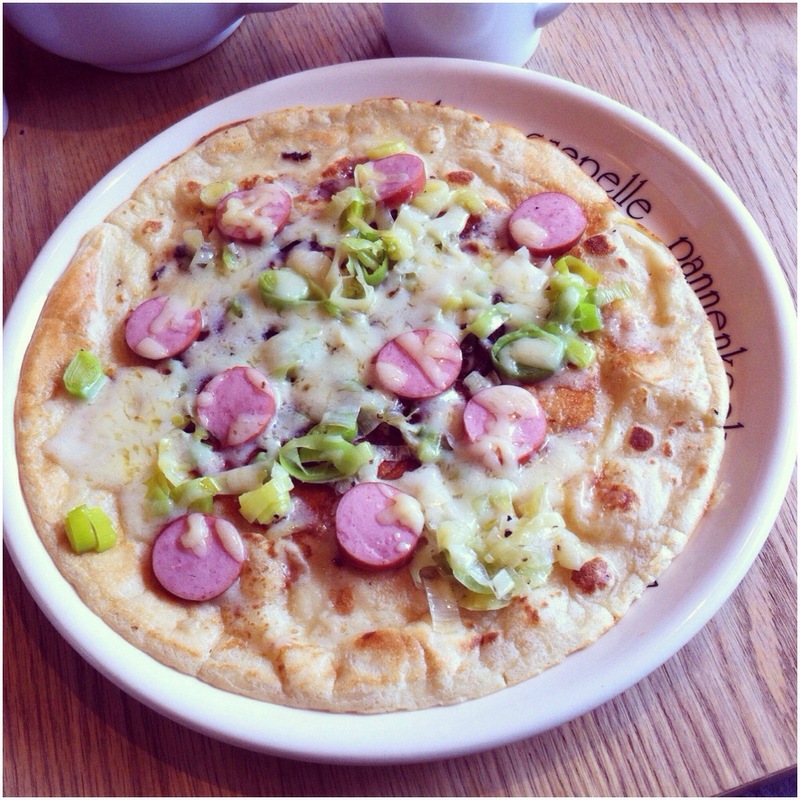 There’s plenty of choice on the menu of both savoury and sweet pancakes. 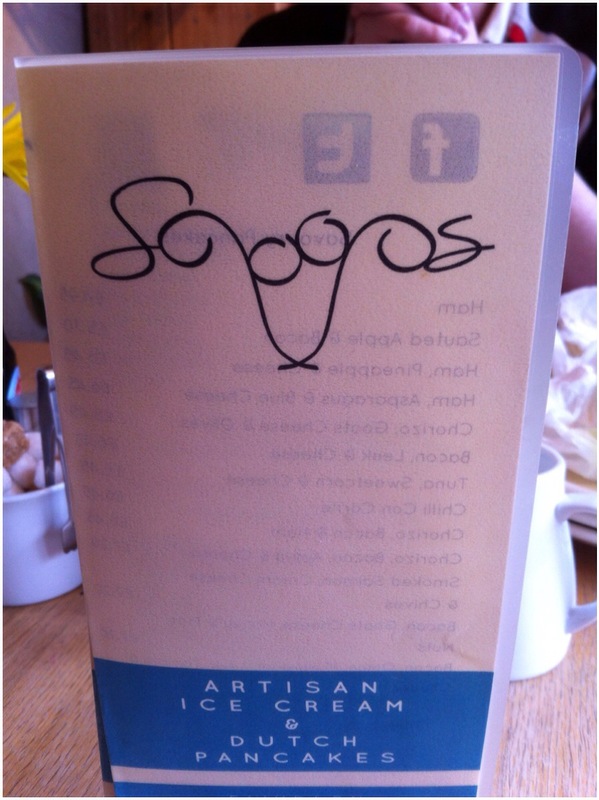 The specials board had a sausage, leek and cheese pancake on offer which both hubby and myself ordered. His friend ordered a chorizo, cheese and onion pancake which sounded nice. We were not disappointed! It was delicious! Both hubby and I really enjoyed our sausage special an hubby’s friend said that his was lovely as well. Now of course, we had to have a sweet one for pudding! I ordered a simple lemon and sugar pancake (as I told the lady taking the order – I’m a simple girl!). 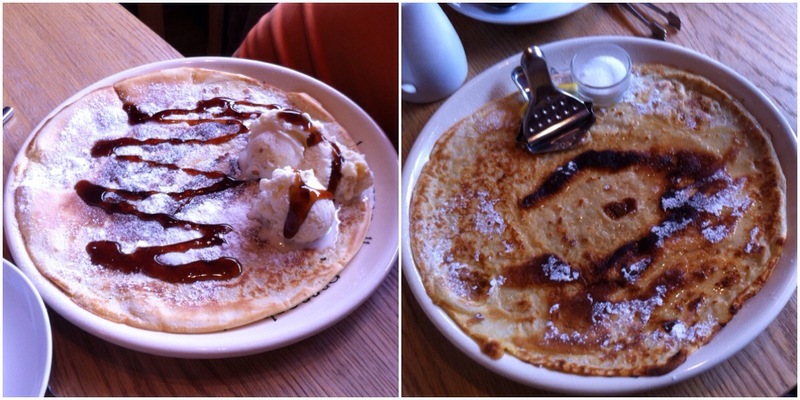 Hubby ordered a pancake with sugar, chocolate sauce and a choice of ice cream – white chocolate. His friend ordered the same as him except he opted for the Ferrero Rocher ice cream. Again, we were not disappointed! The lads said theirs were gorgeous and that the ice cream was delicious! Despite my choice of a simple topping, I thoroughly enjoyed it! Love my lemon and sugar pancakes! Little Miss had a piece of both the savoury and sweet pancake and seemed to enjoy it as well! We will most definitely be going back! Yummmy! The Dutch make amazing pancakes. Oh it was! We went back again today! 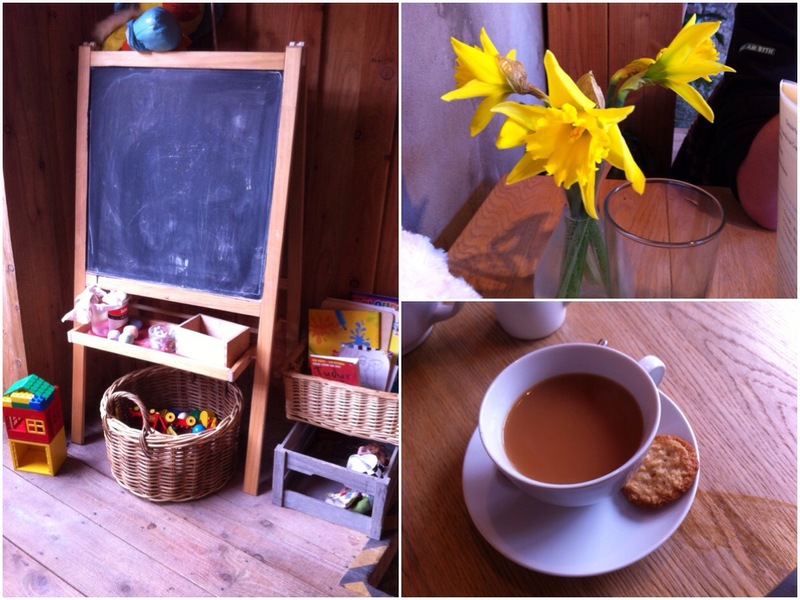 Well the daffodils weren’t mine – they were at the pancake place ready for St David’s Day. I didn’t know daffs were even associated with St Davids! You’re more than welcome! We really enjoyed our visit and were back again last Saturday! I love pancakes and yours were just delicious! We will definitely be back again soon!